The Daily Stormer — the publication of record for neo-Nazis, white supremacists, neo-Confederates, Ku Klux Klan members, and their ilk — has a style guide. In college you might have used the Chicago Manual of Style or APA Style or the MLA Handbook when you wrote research papers. If you’ve ever written for a newspaper — and if you want the copy editors to love you — you’ve used the Associated Press Stylebook. Turns out some people are marshaling the rules of grammar and punctuation while, in the same breath, promoting the decimation of entire populations. And judging from “The Great Replacement” — the manifesto of last week’s New Zealand mosque terrorist — many of the same literary principles espoused by the Daily Stormer are what the shooter hoped would make his repulsive writings more digestible to an internet audience. Most major news outlets, to their credit, have neglected to post the shooter’s manifesto. But it’s worth scrutinizing the rules in the Daily Stormer’s stylebook — which was first reported on by the Huffington Post — to guard against their seeming normalcy: whether to capitalize conjunctions and prepositions in headlines; image formatting, cropping, and pixel count; which words to include in a hyperlink. Because after that, things get creepy. The language advice makes clear how any writer — the Christchurch shooter himself, or any writer on the Daily Stormer — can use linguistic tricks to manipulate even the savviest readers. The stylebook includes a whole section on which slurs are “allowed and advisable” (that’s most of them) and a few that are deemed a bridge too far (all of them seem to incorporate some kind of scatological reference; the stylebook’s author appears to be hung up on poop). 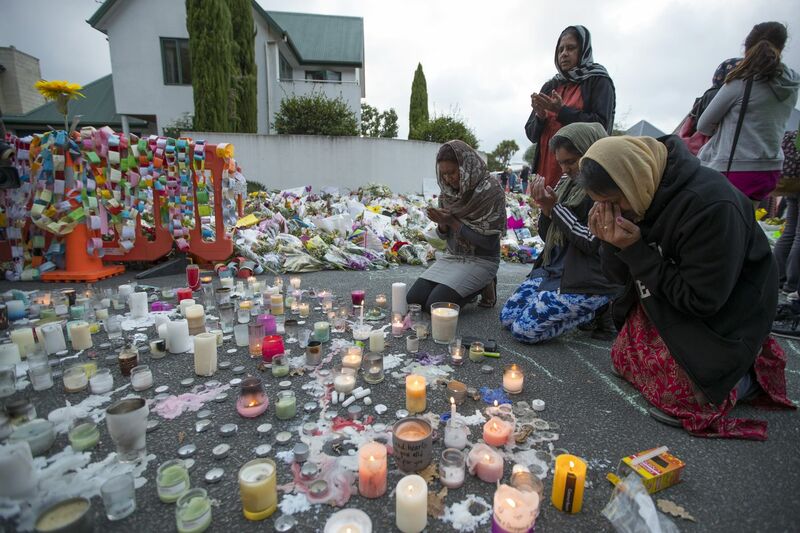 Throughout his manifesto, the man accused of killing dozens at two mosques in Christchurch — whose name the New Zealand prime minister has opted not to say aloud so as to deprive him the attention — follows these rules. He uses time-honored stylistic tricks to find a wider appeal. He cracks jokes. He writes in short, quippy paragraphs, structured as an easy-to-read Q&A. He’s sarcastic. He celebrates well-known memes, and even inscribed a few on his weapon before simulcasting his massacre on the web. All of these tactics are heartily endorsed by the stylebook as the most lighthearted yet effective ways to promulgate hate. The easier it goes down, the more they’ll swallow. Even if these actual Nazis don’t arrive wielding physical oppression anymore, we need to guard just as carefully against their weaponized words. Though we don’t have to read their words of hate, it’s imperative that we recognize when hate speech tries to hide behind insidiously charming lulz. The Angry Grammarian, otherwise known as Jeffrey Barg, looks at how language, grammar, and punctuation shape our world, and appears biweekly. That’s every other week, not twice a week, friends. Send comments, questions, and noun declensions to jeff@theangrygrammarian.com.